This walk marks the end (or the beginning) of the coast path (depending on which way you walk). 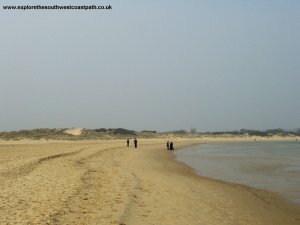 Starting from South Haven Point, at the entrance to Poole Harbour (just across from Sandbanks), the walk goes along the beautiful beach at Shell Bay. 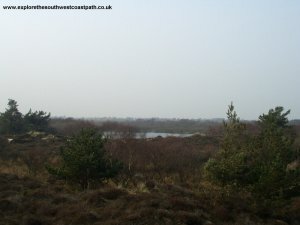 Rounding the corner, the path continues along Studland beach, with heath land behind and the little sea (a lagoon) further inland. 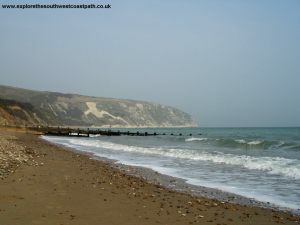 Part of Studland beach is a naturist beach, so it's possible you will be the only person wearing clothes along this part. 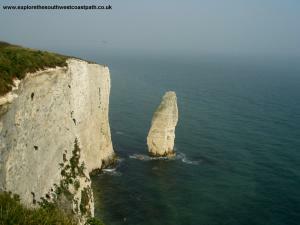 After Studland, the path climbs onto The Foreland to the beautiful Old Harry rocks. 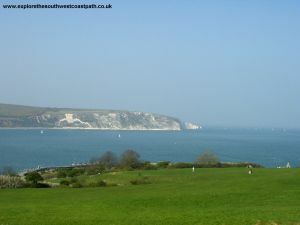 There is then a climb to Ballard Point from where there are stunning views over to Swanage, Peveril Point and Durlston Head, before the path descends to the blue flag beach at Swanage. 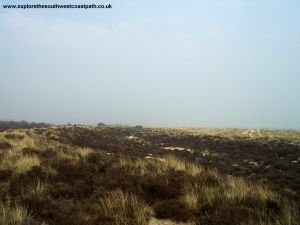 South Haven point is the northern point at the entrance to Poole Harbour. To reach it by car from the West, take the B3351 (off the A351 from Wareham) to Studland, then turn left towards Shell Bay and the ferry. There is a National Trust car park near South Haven Point, opposite the fish restaurant and just before the toll for the ferry. If your coming from the East or North of Poole or Bournemouth, the best way is to either travel to Sandbanks or cross on the ferry to Shell Bay. Take the B3065 to Sandbanks. 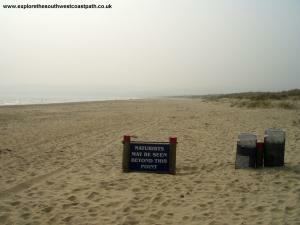 Then you will need to use the ferry to cross the entrance to Poole Harbour to get to South Haven Point and the coast path. 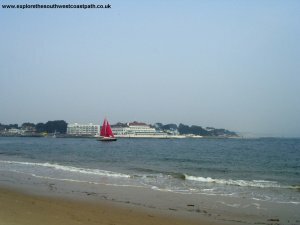 There is a large car park in Sandbanks, but it is a little bit of a walk to the ferry. There is a car park next to the ferry, but I'm not sure of it's a public car park or the car park of the nearby Haven Hotel. You can then cross on the ferry to South Haven Point, it currently costs 90p for a pedestrian. Alternatively, you can take your car over on the ferry and park in the National Trust car park on the other side. This costs £2.20 for a car, payable at a toll booth on the Shell Bay side of the harbour. 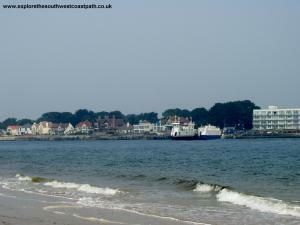 The Sandbanks Ferry, Bramble Bush Bay is a chain ferry that crosses the mouth of Poole Harbour, every 20 minutes. It operates every day of the year throughout the day, from 7am until 11pm (with reduced hours on Christmas Day). 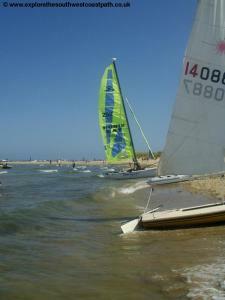 A new larger boat was introduced in 1994, which means that the queue for the ferry is not usually too long now. Except on peak summer Saturdays, you shouldn't have to wait more than about 20 minutes. 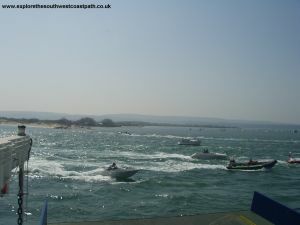 If the ferry queue is long (or the ferry is out of service for maintenance), it is necessary to drive round Poole Harbour, which is around a half an hour drive. If you're traveling by Public Transport, there are plenty of ways to get to the start of the walk, all of them very scenic. Bus service 150 runs between Swanage and Bournemouth, running hourly all year round (with a few extra buses in the summer). 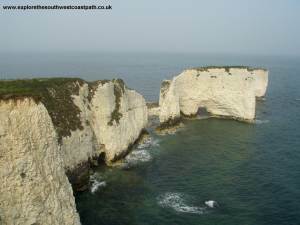 During the summer months, most buses are open top double deckers giving excellent views of the coast, especially between Swanage and Studland, as you can see over the hedges and dunes from the top of the bus. In the winter closed top double and single decker buses are used. There is a bus stop just by the ferry crossing at Shell Bay (South Haven Point), by the telephone box. The bus crosses on the Sandbanks Ferry, but takes priority over cars, so that it will always get on the first ferry (unless it is full by the time the bus arrives). As it it dependent on the ferry, the timetable is a little approximate. 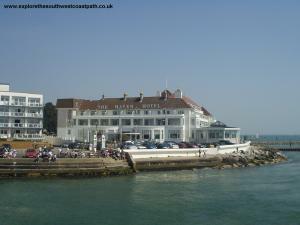 Alternatively, there are hourly buses from Poole Quay and Poole Bus Station to Sandbanks, from where you can travel on the ferry as a foot passenger to the start of the coast path. This service is number 152 and like the 150, during the summer, this service is normally operated with open top double decker buses, giving superb views over Poole Harbour. Both services 150 and 152 are operated by Wilts and Dorset. Finally, during the summer months Yellow Buses run an open-top service (number 12) from Christchurch and Bournemouth (along the coast for much of the journey), to Sandbanks for the ferry. This service is quite slow though. 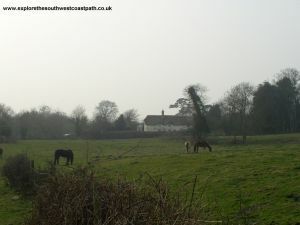 This walk is also relatively easy to reach by train from further afield. There are fast services operated by South West Trains from London Waterloo to Bournemouth, Branksome, Poole and Wareham, the fastest trains taking under 2 hours from London to Bournemouth. There are also direct services from Birmingham, Oxford, Reading and Southampton to Bournemouth, operated by Virgin Trains. From Bournemouth, there are frequent buses to the town centre, from where you can get the 150 bus to the start of the walk. This bus also passes Branksome station, which is usually quicker than traveling into the centre of Bournemouth first. Branksome stations gets a half-hourly rail service. 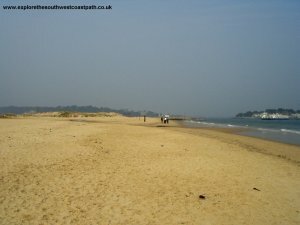 From Poole Station, it is a short walk to the town centre from where you can get the 152 bus to Sandbanks for the ferry. Finally, from Wareham, there is bus service to Swanage (numbers 142, 143 and 144), where you can change onto the 150 service to the start of the walk. Which service is best to use depends on what time train you are catching. The Traveline South West site has a journey planner so you can find which service is best. For more information on the services mentioned, see the links below. There is no accommodation at Shell Bay as far as I know. 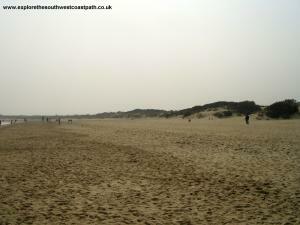 However there is an excellent range of accommodation in both Bournemouth and Poole, including some at Sandbanks. 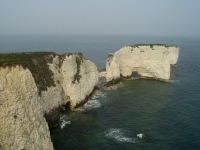 Swanage also has a good range of accommodation. 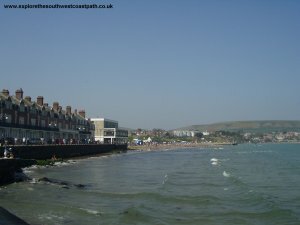 There are tourist information centres in Bournemouth, Poole and Swanage, all of which carry information on local accommodation. For more details see the links below. 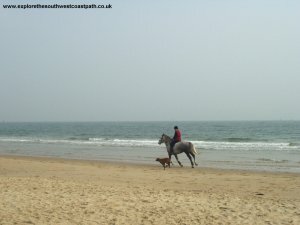 Bournemouth Tourism - Has a list of accommodation in Bournemouth. 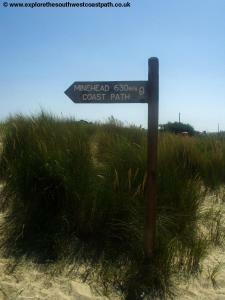 This walk marks the start or end of the South West Coast path, depending on which way you walk. 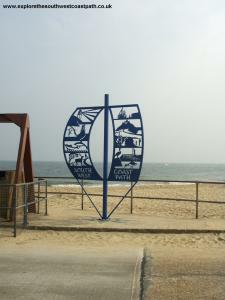 The walk begins at the mouth to Poole Harbour at South Haven Point, however many people will start at Sandbanks on the other side of the harbour and use the chain ferry to cross the harbour entrance. Sandbanks is a small spit of land at the South of Poole, but it's beautiful unspoilt location on the edge of Poole Harbour make it a desirable place to live. In fact, Sandbanks is so exclusive that, according to this BBC News article, it is the fourth most expensive place to live in the world - more expensive than Singapore, New York or Paris! As you cross the harbour, take time to enjoy the beautiful views of the harbour and the Dorset coast from the viewing deck of the ferry. 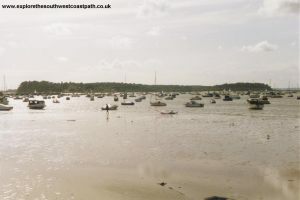 Poole Harbour is the second largest natural harbour in the world (after Sydney) and there are several islands within it. 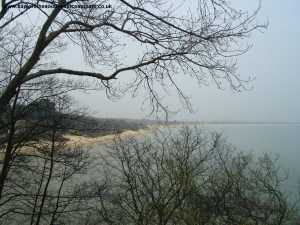 The closest is Brownsea Island, owned by the National Trust. The island is open to the public from late March until early November and is one of the few places in Britain where it is still possible to see a red squirrel. Brownsea Island was also the start of the Scouts and Guides and the Scout and Guide association still have a well-used campsite on the island. On the eastern and northern edges of the island is a saltwater lagoon, an important habitat for many sea birds. Access to this part of the island is limited, especially during the summer. 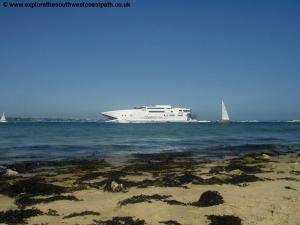 Ferries to Brownsea Island run regularly from Sandbanks, Bournemouth and Poole and also some days from Swanage. Next to Brownsea Island is Furzey Island where the rich oil deposits are pumped (via an underground pipeline), to Furzey, near Southampton. To the south of Furzey Island is Green Island, which is used as a holiday home for the disabled. The other main islands, Round Island and Long Island are further west and are not as easy to see. 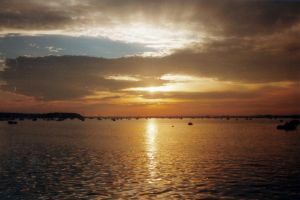 As well as many private boats, the harbour is crossed by a number of ferries, including the Brownsea island ferries, the Shell Bay to Sandbanks ferry and a ferry from Wareham to Poole. It is also a commercial harbour with the fast Condor Ferries catamaran car and passenger service to the Channel Islands, St Malo and Cherbourg and the large Brittany Ferries freight boats to Cherbourg. The walk begins as soon as you step off the ferry at Shell Bay. You will probably notice the striking monument to the coast path on the harbour side at Shell Bay that marks the start (or the end), of the path. If you travel here by bus, the bus stop is next to the telephone box just as you come off the ferry from Sandbanks. 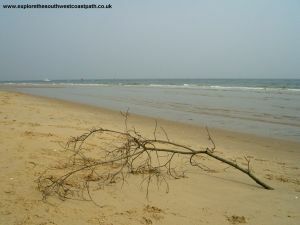 The beach at Shell Bay is superb with golden sand backed by large sand dunes. Although not a blue flag beach, this is probably because dogs are allowed on the beach. 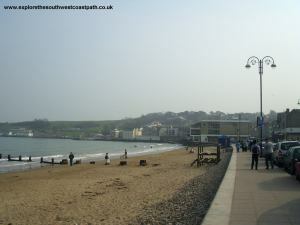 The coast path begins initially along the beach so you have a choice of walking on the soft sand at the back of the beach or along the harder sand at low tide. 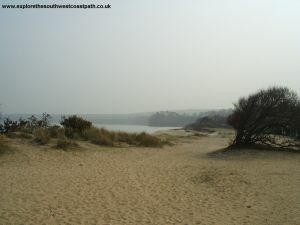 The path rounds the corner onto Studland bay continuing along the beach. 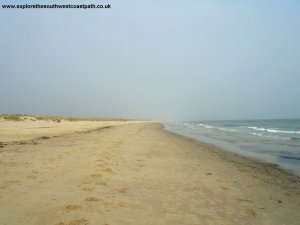 You will probably notice that part of this beach is a naturist beach (it is well signed), so you may feel out of place wearing clothes along this section! If you prefer, there is a path inland through the heather, marked by the yellow topped poles. During the summer months there is often a National Trust ice cream van on the beach. 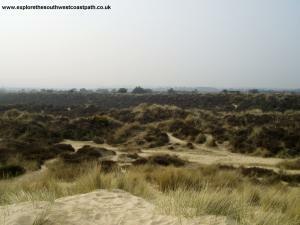 Behind the beach are the massive dunes and heather that make up the Studland Heath Nature Reserve. There are several paths through the heather and if you walk a little distance inland you will come to the Little Sea. 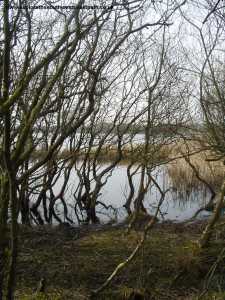 This is a natural lagoon and is an important nesting place for birds. It is a very interesting area that is well worth exploring if you have time. 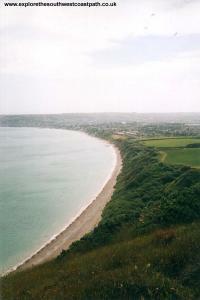 Continue along the coast path and you will come to the National Trust visitor centre, cafe and shop at Knoll Beach. There is a lot of information about the area inside the centre and staff on hand to answer your questions. As well as the shop and cafe there are also toilets and drink machines here. 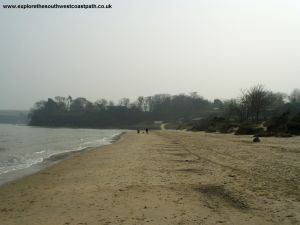 After the visitor centre, continue along the beach until the slip way goes up at the end of the beach. There is again a cafe and toilets here. Continue up the road for a short distance where you come across the wonderful thatched cottage that is the Studland Police Post. 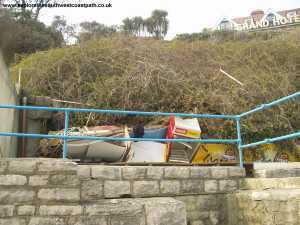 Once here there is sign pointing to the coast path and Fort Henry, up some steps. As you get to the top of the cliffs, Fort Henry comes into sight. It was constructed during the second world war, when the area was used to practice for the D-Day landings. 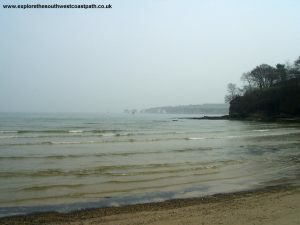 Studland beach itself was well used during the preparations, as the sand and conditions closely resembled that in France. The ugly concrete fort is now being cared for by the National Trust and a couple of information signs are on display at the fort. Once past the fort, the coast path goes through the fields, back inland, coming out next to the beautiful Bankes Arms pub. 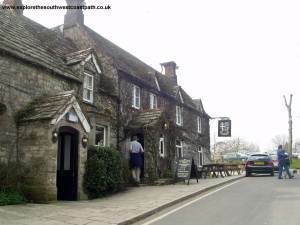 This has an excellent beer garden and is an excellent place to stop for refreshment. Continue down the road and then turn into Manor Road. At the building at the bottom of the hill there are a couple of displays about the South West Coast path. 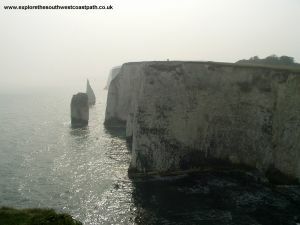 The walk up to Old Harry Rocks and Handfast Point. 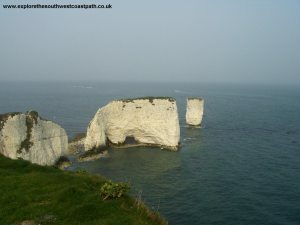 After the initial climb the path opens up, giving excellent views back round Studland Bay. 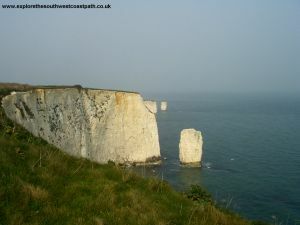 As you approach the point you will get your first view of the magnificent Old Harry Rocks. 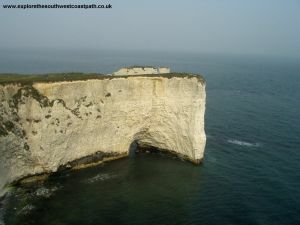 The erosion of the sea has worn an archway under one of the rocks and to the south are some more rocks, known as the Pinnacles. 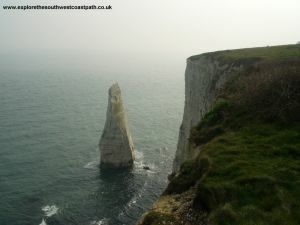 Old Harry Rocks are all that remains of a chalk ridge that joined this point with the Needles on the Isle of Wight. 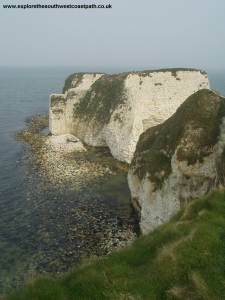 Once past the often busy Old Harry Rocks, the path climbs again towards Ballard Point, offering stunning views over Old Harry, The Pinnacles, Studland and Bournemouth in the distance. 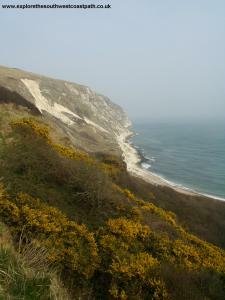 As you reach the top of the headland, you get excellent views to Swanage far below and Peveril Point and Durlston Head in the distance. 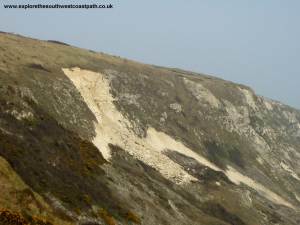 From the end of the headland there is also an inland walk, called the Purbeck Way that goes to Wareham through Corfe Castle, and is well worth walking if you have the time. The coast path becomes a bit narrower here as it descends the headland. Although the descent is mostly fairly gradual, there are a few steep points. 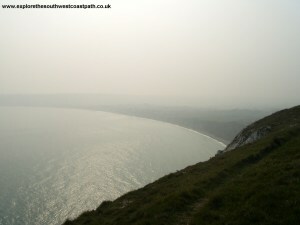 As you descend the headland you get a good view of the white chalk cliff and the recent slip. As you near the sea level, there are steps down onto the beach. 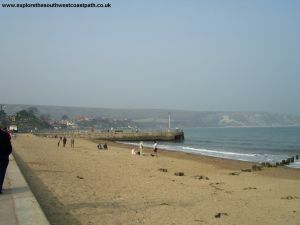 If it is low tide, it is possible to walk along the beach into Swanage. Although there are groynes along the beach you can walk behind them until the concrete promenade starts. If the tide is in however, continue along the path until it comes out into a housing estate. Unfortunately the path is not particularly well signed through the housing estate. 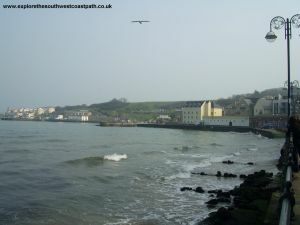 If you walk along the sea front just continue along the promenade, which soon comes into the town centre. When I walked this path, there was evidence of a lot of coastal erosion, including a cafe that had been crushed by a land slip. 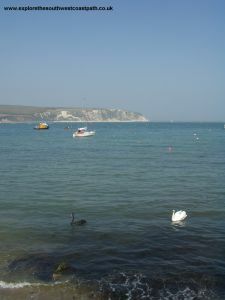 Swanage is a small but pleasant town, with a good Blue Flag sandy beach. There is a theatre on the sea front as well as a few shops, the tourist information centre and further round the bay there is also a pier, from where there are regular boat trips. There is also a putting green and tennis courts to the north of the town. The Swanage Railway is a preserved Steam Railway running through pleasant countryside to the pretty village of Corfe Castle and onto the park and ride facility at Norden. 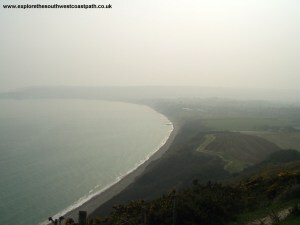 To the south of the town is Durlston Country Park, on Durlston Head. 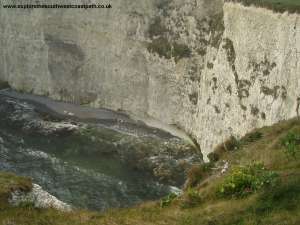 There is a visitor centre here where there are often cameras over the cliffs so you can see the many birds that nest here. There is also a giant globe, lighthouse and the now closed Tilly Wim Caves. If you're returning to Sandbanks, the bus departs from the bus station in the town, in front of the rail station. 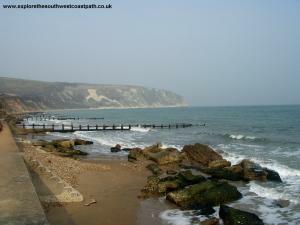 Getting back from Swanage to Sandbanks and Shell Bay is easy. 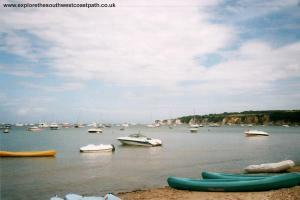 Bus number 150 departs approximately hourly back to Studland, Shell Bay, Sandbanks, Parkstone, Branksome and Bournemouth. During the summer months, most buses are operated using open top double decker buses. These buses offer excellent views over Studland Heath and the little sea and to Old Harry, allowing you see to over the heather and hedges. The bus crosses Poole Harbour on the chain ferry. Although the buses do get priority on the ferry, if the ferry is over the other side it often means the bus is a little late arriving in Bournemouth. Alternatively, if your traveling on by train, buses 142, 143 and 144 run frequently to Wareham station. Alternatively, a relaxing way to travel is to return on the steam railway from Swanage to Norden station, passing the spectacular Corfe Castle on the way. During the peak summer season, trains run every 35 minutes during the day and hourly during the evening. The buses to Wareham stop at Norden when the railway is operating. From Wareham station there are two trains an hour to Poole, Bournemouth, Southampton, Winchester and London and an hourly service to Wool, Dorchester and Weymouth. Here are some photos of the walk. Click a picture for a larger version and description. Unfortunately it was a bit misty when most of these photos were taken. Ordnance Survey Landranger map 195 covers this area of the coast path and is available from most book shops nationwide. 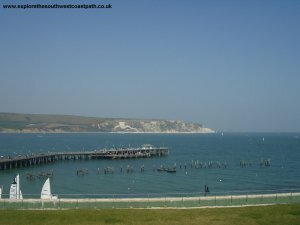 It is also stocked at the Swanage Tourist Information Centre and the Knoll Beach Visitor Centre. 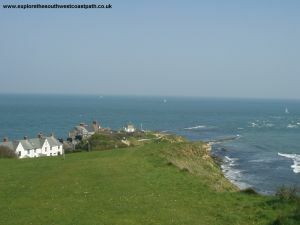 Multimap is a web site which provides maps of the UK, including around around Swanage and Poole. 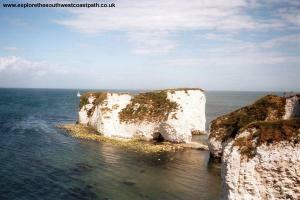 The links below will be of most use to the coast path from Sandbanks to Swanage and the maps join to provide the complete coast path between these two points.